When Johan Cruyff passed away on 24 March, it felt as if the lights had finally been turned out on a magnificent era of the beautiful game. Considered to be one of the finest players of his generation alongside Pelé and Diego Maradona, Cruyff's career as a manager was, incredibly, at least as illustrious. Yet even more importantly, the Dutchman's footprint has been felt most in the philosophy of how the game is played: almost every major successful team in the world today is indebted in one way or another to the legacy of Cruyff. Numbers paint only a partial picture. 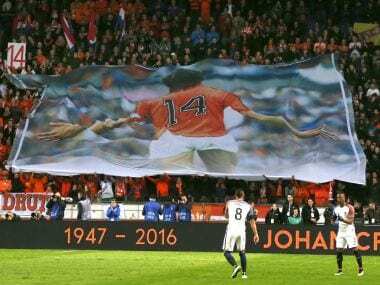 Were we to remember Cruyff only by his 392 goals, eight Eredivisie titles, and three Ballon d'Or awards, he would be lost among a small cohort of elite footballers of the past half century. What made Cruyff an outstanding and complete athlete was the way he almost single-handedly turned the Netherlands from a footballing backwater to a European powerhouse. This required skill, confidence, strategy, ambition, and when the times called for it, even argumentativeness, arrogance and anger. Cruyff possessed all these qualities and in abundance. On the pitch, his play was sublime, but off it, Cruyff was no shrinking violet; he could be quite salty if needed. 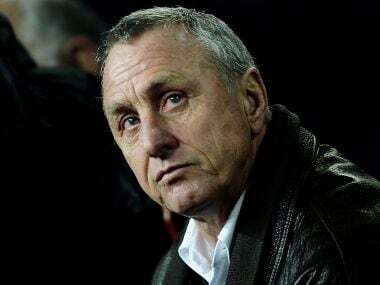 When Cruyff was fired from Barcelona in 1996, the club vice-president, Joan Gaspart, went to inform him in the dressing room. The Dutch star spat at the Catalonian and the pair came to blows. Eventually, Gaspart had to threaten to call the police to have Cruyff removed from Camp Nou. Very early in his professional career, when he was 19, Cruyff earned the distinction of being the first player in Dutch history to be sent off the field: the new Dutch talent received a red card in a Netherlands-Czechoslovakia game in 1966, his second international. To signal his displeasure, the lanky Cruyff punched the East German referee, Rudolph Glöckner, knocking him out with a single blow; Cruyff got a one-year ban (reduced to eight months under media pressure) to show for it. In 1973, when Cruyff decided to leave Ajax, it was in anger over his team mates having voted Piet Keizer as captain. When he found out that his team had negotiated to sell him to Real Madrid behind his back, he furiously rejected the deal and went to Barcelona instead. 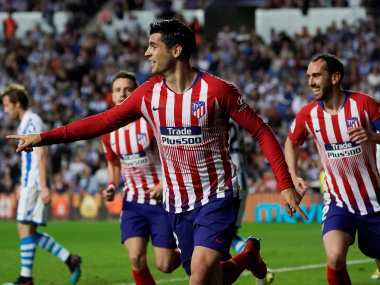 The Catalans had agreed to pay him a whopping £1 million, breaking the world record for transfers (Interestingly, the amount was so huge that the Spanish state intervened and refused to allow the deal. 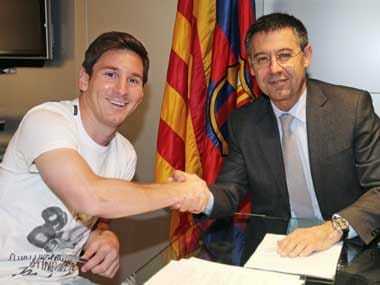 Barcelona then managed to get their man by officially registering him as a piece of agricultural machinery!). Towards the end of his career as a player, Cruyff got into coaching despite having no qualifications for it. 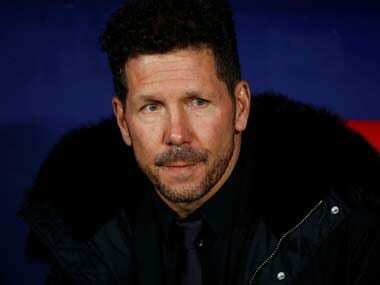 He confessed later, "I decided to become a manager only when they told me I couldn't." What made Cruyff great as a player was not just his abilities with the ball but his awareness of the pitch. After all, this was the era of Pelé and it would take a superhuman to outshine such company. In typical European fashion, the Dutchman was more a team player than a prima donna that South American teams seem to often throw up. Cruyff would see spaces and angles on the pitch, so much so that former Times sportswriter David Miller once called him a Pythagoras in boots. Cruijffie, as he was also known, would never play in a fixed position but wander around the field, popping up where he was needed and often to devastating effect. As spectators would recall, Cruyff spent much of his time calling out to his teammates, positioning them appropriately before plays, advising them on how to handle a particular opponent. He was not beyond making tactical adjustments in the midst of play without even a second glance to the bench. "Don't run," Cruyff would often say, "you play football with your head." Of course, Cruyff's talents with the ball were also spectacular. He could stop, turn, and accelerate again at the drop of a hat. The way he shook off Sweden's Jan Olsson in the first round match of the 1974 World Cup, the famous Cruyff turn, is still admired and young boys learning football try to imitate it. In the final of the same tournament, with barely a minute on the clock gone, Cruyff made a solo dash for the German goal that was stopped only by an Uli Hoeneß foul in the penalty area: when Johan Neeskens scored from the spot, the Germans were yet to touch the ball! Cruyff is four-footed, wrote Nico Scheepmaker, his biographer, so impressed was he with how well the footballer could use the insides and outsides of both his feet when handling the ball. Equally famous is his penalty against Eredivisie team, Helmond Sport, in 1982, in perfect imitation of Belgian footballer Henri Coppens in a World Cup qualifying match against Iceland 25 years earlier. For Barcelona fans, Cruyff's most famous goal will be the one against Atlético Madrid in 1973, when he made a rare display of his aerial abilities. What made the Dutchman a treasure for the tens of thousands of spectators, however, was that he insisted on playing beautiful football. In a time when catenaccio - a defensive strategy that emphasised defence and the reduction of goal-scoring opportunities - was de rigeur, Cruyff re-wrote the script for fluid, attacking play. He forswore ugly pragmatism for beauty and was not above lambasting his own national team in 2010 for the ugly football they played in the finals of the 2010 European Cup. "Playing football is very simple," Cruyff used to say, "but playing simple football is the hardest thing there is." In that most heart-breaking of matches, the 1974 World Cup final, Cruyff always maintained that the Germans may have won the tournament but the Dutch won the hearts of everyone. He was right: to this day, the Dutch team of 1974 is remembered as the best team that never won the World Cup. Cruyff's commitment to football was absolute. In February 1974, in his first year at Barcelona, the Catalan side was playing its arch rival, Real Madrid, in El Clásico. Danny Coster, Cruyff's wife, was pregnant with their youngest. The couple agreed to bring forward the birth of their child by a week so that Cruyff could go and play against Real Madrid. Barcelona won 5-0 that night, Cruyff scoring the second goal; his son was named Jordi, after the patron saint of Catalonia. The Netherlands' greatest footballing son sat out the 1978 World Cup in Argentina; the official reason given then was that it was because he opposed the military dictatorship of Augusto Pinochet. However, rumours floated that it was actually over a dispute with the KNVB about sponsorship. But the Dutchman revealed in 2008 that his family had been the victim of an attempted kidnapping in December 1977 and he had not been in a proper frame of mind to compete at the world's highest level (the sponsorship kerfuffle had actually been resolved when the KNVB, who had signed a deal with Adidas for the World Cup, gave in to Cruyff, who had his own deal with Puma, and custom-made a t-shirt for the forward with two stripes instead of Adidas' famed three). The Netherlands lost 3:1 to the hosts in the finals and it is still a matter of speculation among Oranje supporters that the Fifa World Cup trophy would have visited Amsterdam that summer had Cruyff been there. Cruyff's love of money comes from not having much of it growing up. His father Manus, a grocer who supplied fruits to Ajax, died when Cruyff was 12. His mother, who worked as a cleaner at Ajax stadium, remarried a man who also worked for Ajax. Manus had started his son early in the Ajax youth system. At 10, the skinny lad was already sporting an Ajax t-shirt, his father boasting that he would be worth £10,000 some day. His loss affected Johan more than is recognised. Young Cruyff would sometimes be found sitting at the kitchen table, talking to the spirit of his dead father, something he would continue to do even decades later. Rinus Michels, Ajax's manager, employed not one but two psychologists to understand Cruyff. The first, Dolf Grunwald, pointed to the athlete's father-fixation as the fuel for his ambition as well as his self-destructive tendencies. As he told one of his interviewers, "the fact that you lose your father early means that you have to do something extra." In 1977, when Cruyff hung up his boots for the first time, he got into business with a French-Russian character named Michel Basilevitch. Cruyff invested heavily in his new venture and lost almost everything he had in circumstances that have never fully been explained. Within a year of his retirement, the Dutch football star was forced to return to the game. After an unremarkable stint in the United States and a second division team in Spain, Cruyff returned to Ajax again in 1981. Cruyff finally retired for good three years later from Feyenoord. More than his personal achievements and foibles, it is Cruyff's legacy that makes him truly the world's best footballer. Maradona had his drugs and Pelé was never a manager, let alone a football intellectual. Arrigo Sacchi, an admirer of Cruyff's methods, featured the Dutch holy trinity of Ruud Gullit, Marco van Basten and Frank Rijkaard, all Cruyff's proteges, in his all-conquering Milan of the 1980s which took apart the catenaccio legacies of Helenio Herrera and Nils Liedholm. 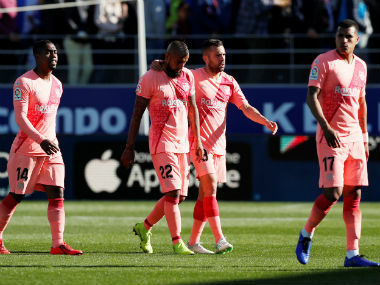 Barcelona's deadly trinity today, Xavi Hernandez, Andres Iniesta, and Lionel Messi, all came through the La Masia youth system Cruyff established in the early 1990s at the club. In 2016, we are used to associating the Spaniards with beautiful football but that was not always so. Cruyff taught them how to play, win, and have fun at the same time. As Pep Guardiola said upon taking over as manager of Barcelona in 2008, "Cruyff built the cathedral, our job is to maintain it." Managers of most major teams in European football today can trace their lineage back to Cruyff. Bayern Munich's Pep Guardiola and Porto's Julen Lopetegui were under the Dutchman at Camp Nou, and Manchester United's Louis van Gaal was his team mate at Ajax. Laurent Blanc and Luis Enrique were part of the legacy Cruyff left behind at Barcelona. Other bigwigs such as Arsene Wenger, Guus Hiddink, Ronald Koeman, Roberto Martinez, Phillip Cocu, and Jürgen Klopp have have been converts to Cruyffianism. What was this legacy that re-shaped modern football? Ironically, the Dutch had no name for it then but it was christened totaalvoetball, or total football, somewhere along the way. The idea was actually not new: Jack Reynolds, an Englishman who coached Ajax during the two world wars, had toyed with it and the Hungarian national team, Real Madrid, and Santos had experimented with it in the 1950s. Some say it was the Austrians in the 1930s who had first experimented with the strategy. In any case, total football took roots under the training of Rinus Michels and implementation of Cruyff at Ajax. Essentially, the strategy did not envisage players as specialists in their positions but as all-rounders who could float around the field and take up any position. Michels and Cruyff innovated the use of space: creating it, moving into it, and moving with it on the field. The ball would move by a series of short, quick passes - what is now being marketed as the novel tiki, taka - rather than the famously boring English long ball. It was here that the term clockwork oranje was coined, referring to the precise passes of the Dutch players as they moved around the field. Pressing became a notable side effect of total football. Under Cruyff, even the goalkeeper was not spared: he persuaded the manager to select Jan Jongbloed, who had a habit of roaming out at times and initiating attacks, over the stolid Jan van Beveren for the 1974 World Cup team. This allowed the Dutch team to press even higher up the field: the role of the sweeper-keeper was born. As manager, Cruyff threw out the old manuals advocating 3-5-2 and 4-4-2 field positions, introducing the bolder 3-4-3 which put enough men at the front to press the opponents. Sacchi described the impact on the spectators, "Holland in the 1970s…really took my breath away. It was a mystery to me. The television was too small; I felt like I need to see the whole pitch fully to understand what they were doing and fully to appreciate it.” Subsequent coaches all around Europe only made small changes to this overarching philosophy. Cruyff had two great passions - football and smoking. No one would guess that the Dutchman was a chain smoker the way he moved on the field. In 1991, Coach Cruyff had to give up the habit after heart surgery. Unfortunately, the effects caught up to him and in 2015, Cruyff was diagnosed with lung cancer. Two months ago, it was announced that his treatment was going well, or as Cruyff himself put it, he felt that he was '2-0 up in the first half of a match that was not yet over'. Sadly for millions of his fans and disciples, the final whistle blew early. Cruyff was an atheist - soon after he moved to Barcelona, he once told an interviewer that he did not believe in God because he saw all 22 players cross themselves before each game: if there was a God, the result would have to be a very boring draw!